On 15 April 2019, the news site Disclose published a series of classified French military documents revealing the widespread use and acquisition of French weapons in the conflict in Yemen. On the other hand, UK exports seem to flow as frequently as before, even though Germany’s six-months suspension triggered international consideration on the matter. As a matter of fact, as argued by the British foreign secretary, Jeremy Hunt, the interruption of arms sales to Saudi Arabia would deprive the UK government of the ability to influence directly the Saudi-led coalition, fallacious and biased justifications that collide with the crude humanitarian crisis in the region. As reported by those documents, French exports include tanks and laser-guided missile systems which have been used in the Yemeni war against civilians. Another 15-page classified report written by France’s DRM military intelligence agency, entitled “Yemen: security situation”, highlights a clear conceptual map that details the positioning of French-made weapons inside Yemen and on the Saudi side of the border. The leaked report is in deep contrast with official statements made by President Emmanuel Macron and his government. As they stated to medias before, French-made arms are being sold to Saudi Arabia for solely defensive purposes on the border. However, the intelligence document reveals that Caesar cannons, manufactured by Nexter company and deployed along the Saudi-Yemeni frontier, perform defensive shelling as well as back up “loyalist troops and Saudi armed forces in their progression into Yemeni territory”, so as a backup fire for invasive actions. In addition to that, a recent investigation by Amnesty International concerning the battle for Hodeidah, identified some French-manufactured Leclerc tanks that had been transferred to the UAE. Amnesty International has previously verified the use of French-supplied CAESAR truck-mounted Howitzers on the border between Saudi Arabia and Yemen. Uk’s case is somehow less spoken. There is an active Parliamentary committee on arms export controls, the CAEC (Committee on Arms Export Controls), a body responsible for scrutinising government policy and holding it to account. 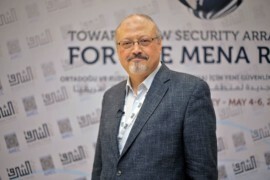 However, their current inquiry, which covers both the technicalities of the policy and larger political questions, does not cover the of arms exports to the Saudi-led coalition or the war in Yemen, a gap of information, which deteriorates the international profile and credibility of London’s government. The European Centre for Democracy and Human Rights (ECDHR) strongly condemns France and UK’s policies and condemns them for being an active part of a larger and wider vicious degree of high politics conduct. As a matter of fact, in spite of all these overwhelming signs, Western arms supplied to the Saudi Arabia and UAE-led Coalition are being used to commit or facilitate possible war crimes and a series of violations related to international humanitarian law in Yemen. International actors such as France and UK have openly ignored their international obligations by continuing to supply arms to Saudi Arabia and the UAE in violation of the Arms Trade Treaty.